Good to hear that Tammy and Jinty are coming back to newsagent shelves in a one off special from Rebellion, accompanying their Treasury of British Comic Book series. Rob Williams, Rachel Stott, Emma Beeby, Rachael Smith and V V Glass bring you stories around archaeology, ballet, roller derby, space adventure, codebreaking and more. Cover by Mike Collins. 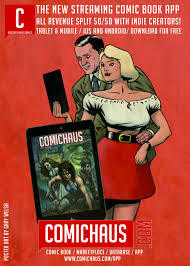 The 48 page comic for the 21st century is out 26th June.